Agnone is one of the main towns to visit in the Molise region, between Abruzzo and Puglia, an area that’s often overlooked by tourists. Agnone is best known for its bell foundry, one of the oldest in the world. Agnone’s historic center is built on a hill rising up from the town’s main street. Agnone’s main attraction is the historic Marinelli bell foundry, in operation for at least 1000 years, at Via Felice D’Onofrio 14. 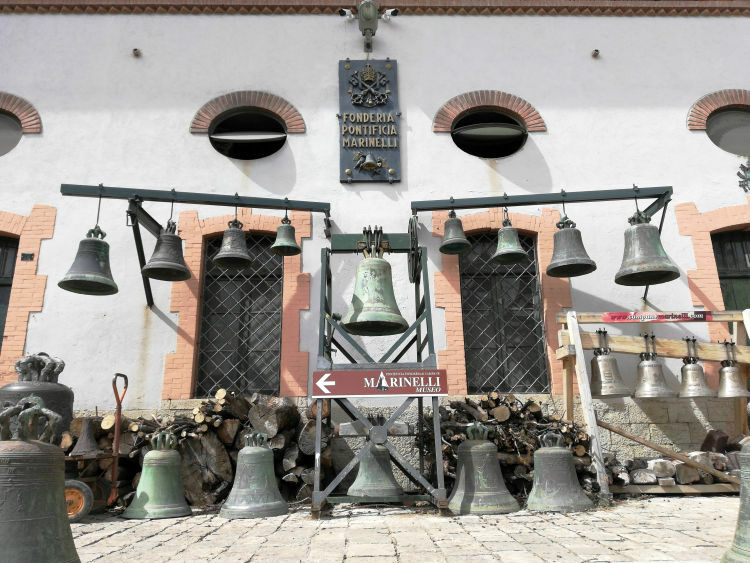 At one time there were many bell factories in Agnone but Marinelli is the only one still in operation. 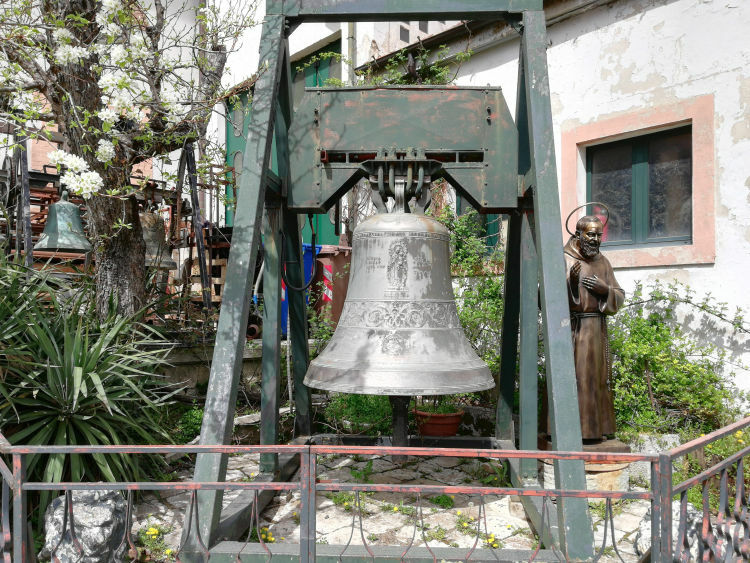 Many church and clock tower bells are produced in Agnone, including bells for the Vatican. You’ll see a display of bells outside and there’s a museum that can be visited only with a guide (arranged at the entrance). Tours are currently given 4 times a day in August and 2 times a day the rest of the year (except on Sunday afternoons, when it’s closed). 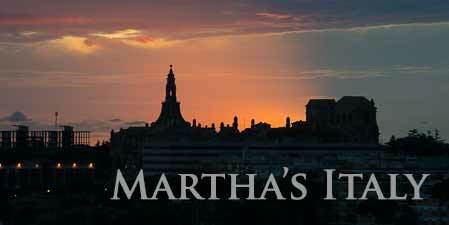 Check current museum tour times. 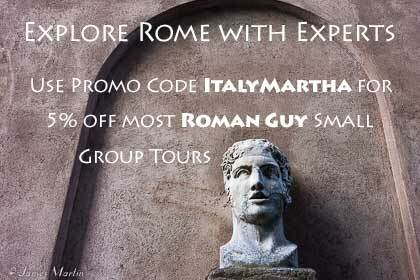 From the bell foundry, walk along Via Marconi, the long main street lined with shops and bars. The street name becomes Via Roma, then Via Matteotti, and finally Corso Vittorio Emmanuele as you near the historic center that rises up the hill at the opposite end of town. Visit the tourist office, Corso Vittorio Emanuele 78, for a map before going up the hill. 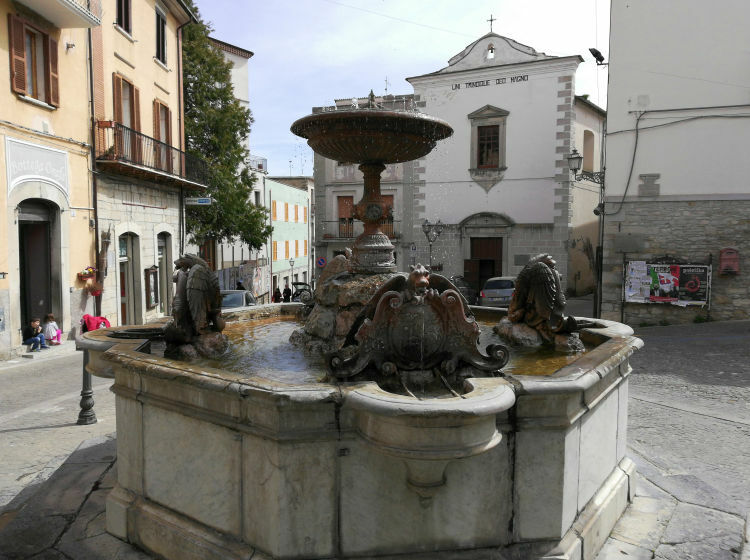 The main square of the old town is Piazza Plebiscito, with a fountain in the center. Around the square are a church, a couple of stores, and a bar where you can sit on the terrace to enjoy the ambiance. Take some time to wander along the little streets and go up to the 11th century Church of San Marco Evangelista at the top of the hill, from where you’ll find some good views. A highlight of the old town is the Saint Francis Convent and Church, with a rose window dated 1330. Visit the Baldassare La Banca Library, in the former convent, to see its huge collection of ancient books, the beautiful interior, old maps and other historical items, and a copy of the important Tabula Osca, written in 3rd century BC Oscan alphabet, that was found nearby. The original is in the British Museum. 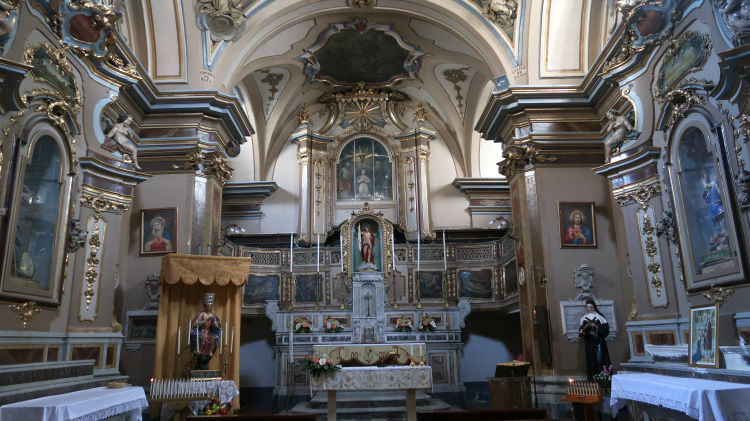 The town has 19 churches, primarily medieval, although not all of them may be open. Agnone is sometimes called the city of Art due to its medieval architecture and the craftsmen who have workshops in town. Agnone is not on the rail line but it can be reached by bus from the city of Isernia and nearby small towns. The best way to explore the area is with a rental car. Right by the bell foundry and museum, we had an excellent and inexpensive lunch at Alla SantÃ©, on Via Marconi (closed Mondays), a good place to try local specialties and wine. There are very few restaurants in Agnone (in spring 2018 there were none in the historic center) so we were very happy to find Alla Sante. Several bars and cafes serve sandwiches and snacks and there are a few stores where you can buy food to make your own sandwiches. In the historic center stay at Bed and Breakfast Il Tomolo or Borgo San Pietro. At the other end of town, near the bell foundry and bus terminal, stay at Hotel il Duca del Sannio. The hotel has a restaurant and free parking. In between, Locanda La Campana is at the foot of the historic center near the tourist office and main shopping street.